We were admiring the different statues within the Jardin du Luxembourg, when we took these high definition photos of a monument dedicated to La Comtesse de Segur, sculpted by Jean Boucher. 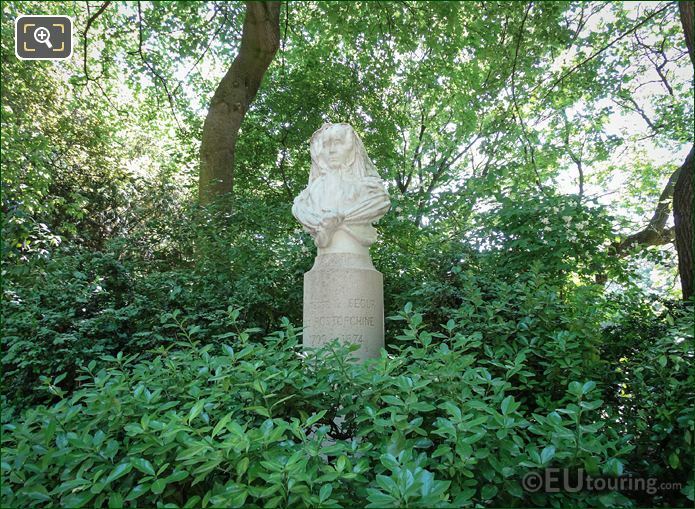 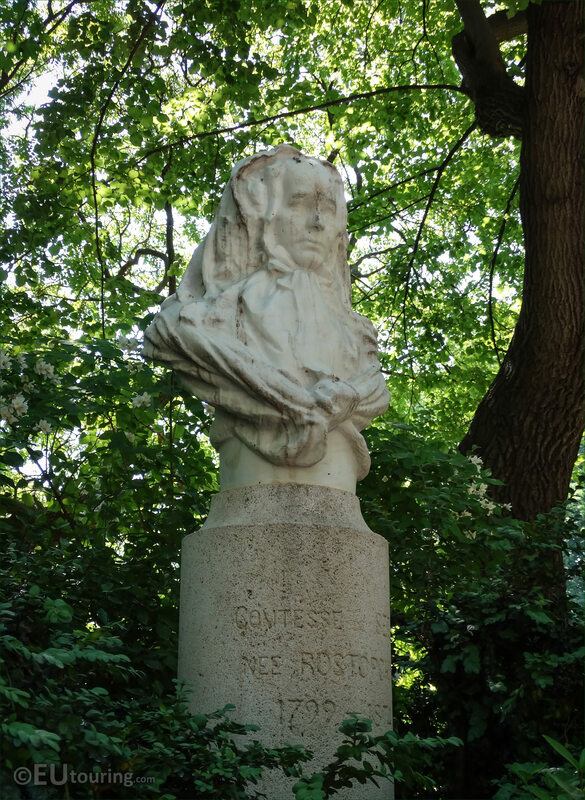 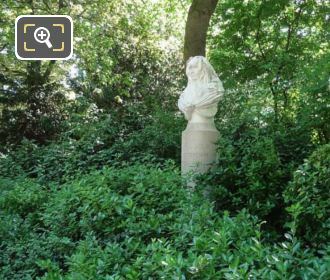 Surrounded by trees and bushes, this first HD photo shows the statue dedicated to the Countess of Segur, which is located in the southern part of the Jardin du Luxembourg in the 6th Arrondissement of Paris and is part of the collection of statues dedicated to artists and personalities. 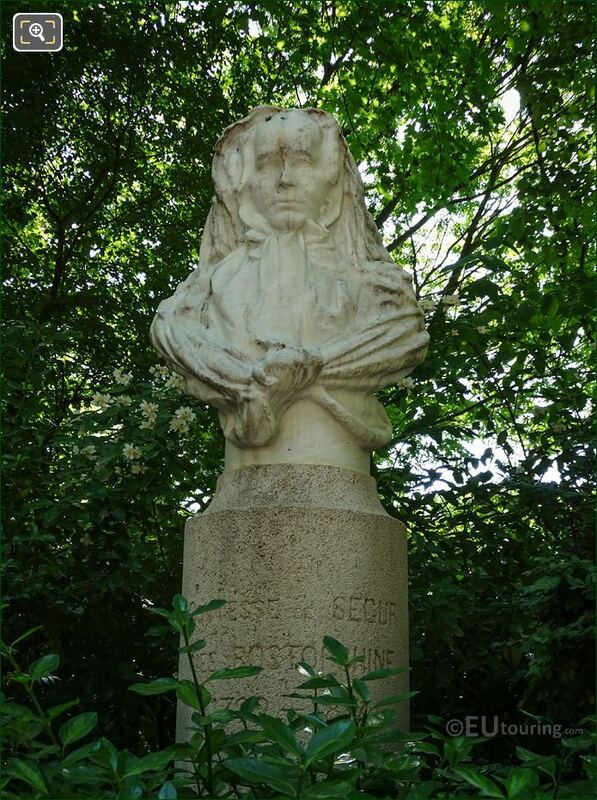 And in this photograph you can see the marble bust positioned on top of the pedestal, which was produced by Jean Boucher who was born in Brittany on 20th November 1870, becoming a French sculptor, producing numerous different monuments and statues, along with memorials such as two dedicated to Marshals of France that can be found at the Place Vauban in Paris. 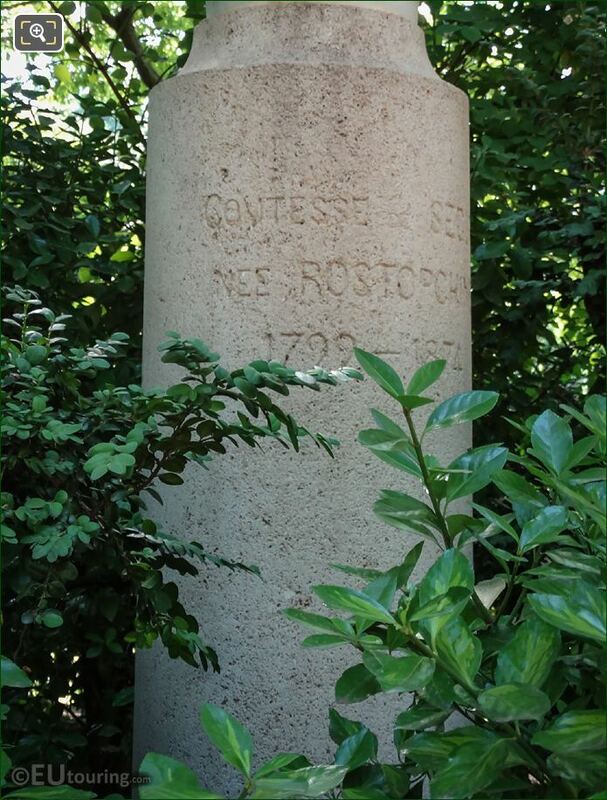 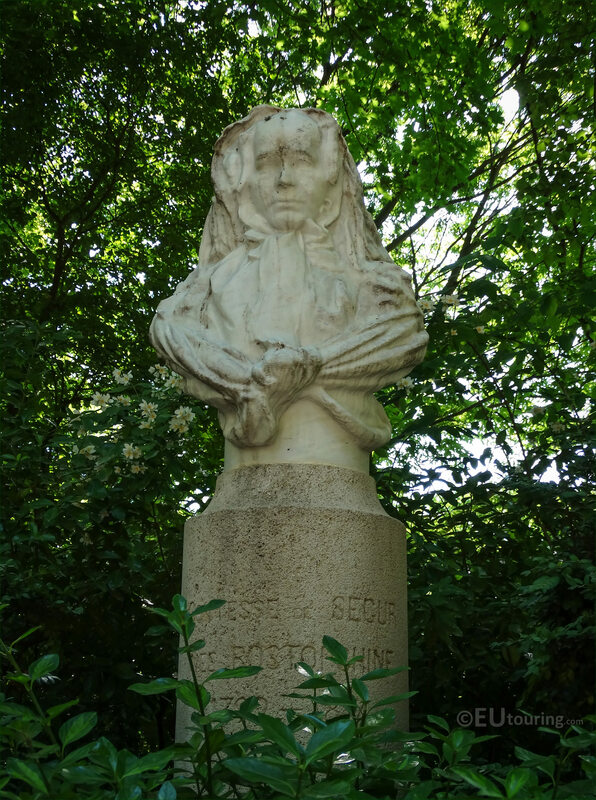 Yet this next photo shows a close up of the inscription on the pedestal of the monumental statue, which reads; Comtesse de Segur, Nee Rostopchine, which was her maiden name, and then underneath this are her years of birth and death, being 1799 to 1874. 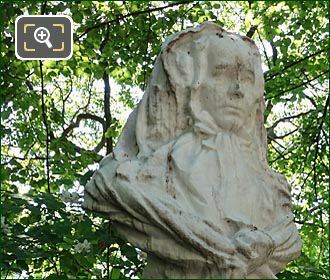 Now you will find that this lady was born on 1st August 1799 in St Petersburg with the name Sophie Feodorovna Rostopchine, yet her family moved to Paris where she married Eugene Henri Raymond, Count of Segur, and the Countess of Segur became a writer of childrens stories, novels and fairy tales, that were originally intended just for her grandchildren, and these were published between 1857 and 1872, prior to her passing away in February 1874. 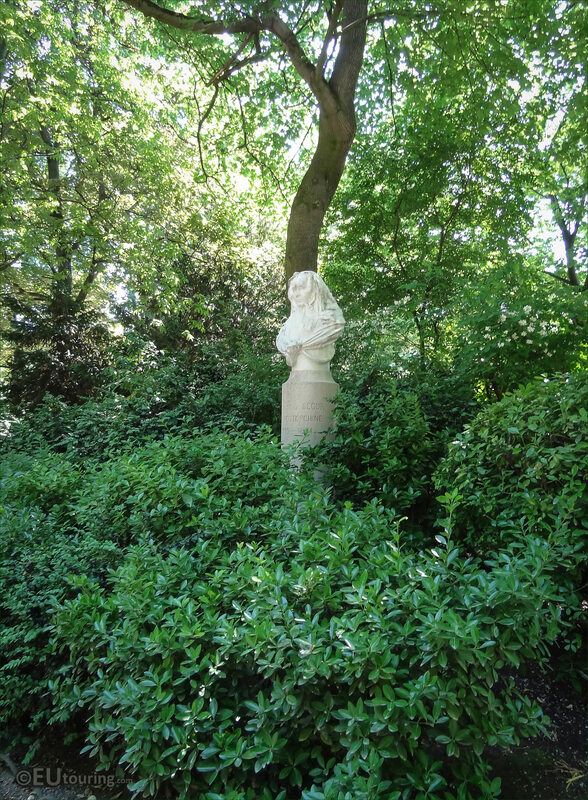 So this last image again shows the monumental statue surrounded by greenery, and made of marble, this is a total height of 2.7 metres, and was first inaugurated within the Luxembourg Gardens back in 1910, which is where it still remains today for all to enjoy along with the other monuments and statues in this free public garden and very popular attraction in Paris.